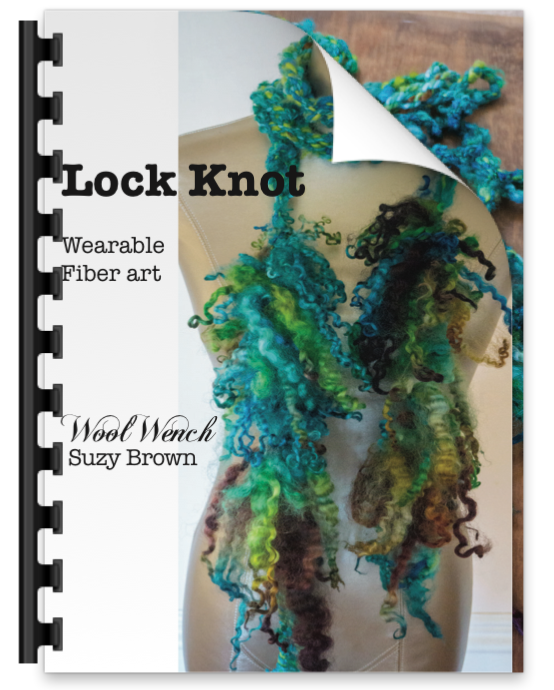 Home » ebooks » Giveaway: An extended Yarn “recipe’ for wearable art! 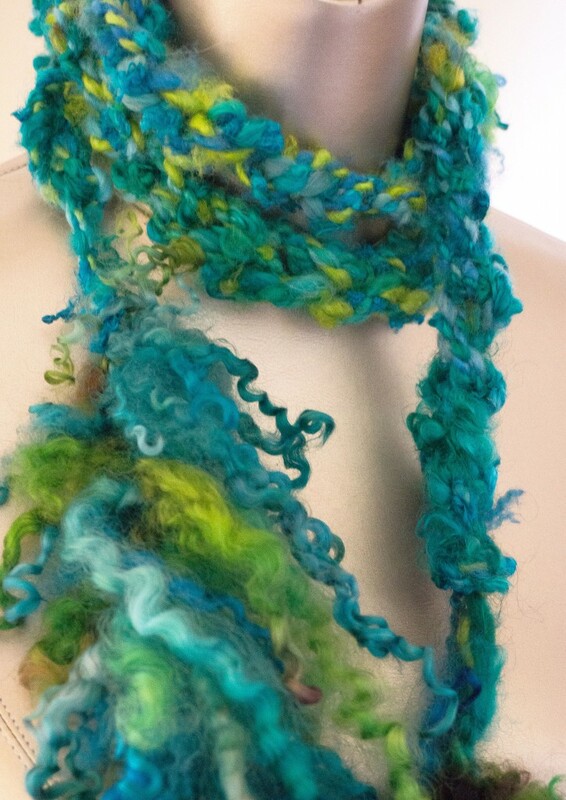 This week I published a little ebook, an extended ‘Yarn Recipe’ for creating this yarn and wearable art piece. Previously I have made yarn recipes that were simple step by steps, but this time I have added in some spin tips for creating this yarn, about twist and where to add more, and it includes a new way of adding your long locks into the yarn as you ply! This means its possible to determine exactly where you will have the locks, and they are securely integrated without having to spin them into your single first. You can read more about it and download the free ebook from our Fiberygoodness website by following the link HERE or clicking on the cover below. I hope you will enjoy this new way of adding locks and creating this textured skinny scarf, almost complete when it comes off the wheel! Always look forward to your creative genius!! Thank you!! !